Amsterdam is an amazing city with an atmosphere like no other place in the world. You can show up in Amsterdam without a plan and never get bored. There is something interesting around every corner. 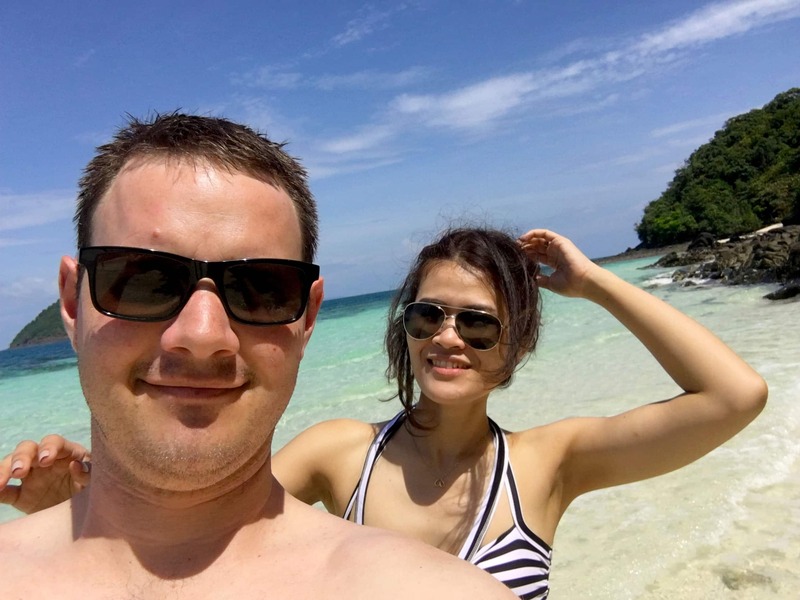 But you’ll get the most out of your visit if you research what you want to do before you get there. Here’s a list of our favorite things to do in Amsterdam. We couldn’t possibly include everything, and most things are just a matter of personal taste. But below are the 11 things we enjoyed doing the most in Amsterdam. One of the best ways to explore Amsterdam is by boat. 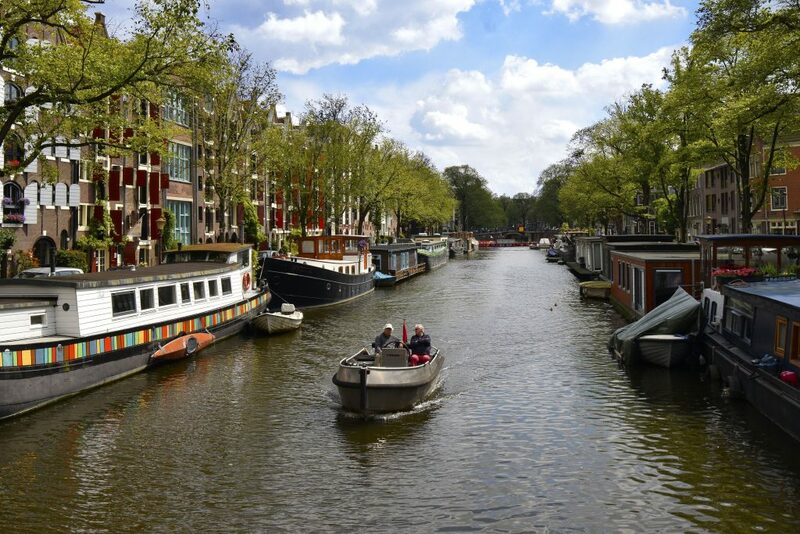 Amsterdam is known as the “Venice of the North” for good reason. The city center is surrounded by six rings of canals, all connected to each other by more canals. You can get practically anywhere in the city along a canal. The canals are one of the things that make Amsterdam unique. The old Dutch row homes, houseboats, and countless bridges you’ll see make for a one of a kind experience. Several companies offer guided tours of the city from large canal boats. But why not take it a step further and rent your own boat? That way you can go where ever you want at your own pace. A few companies rent small electric powered boats that you can take out by yourself. The boats go slow and are quite safe, so even someone with no boating experience can rent one. We rented our boat from Boats4Rent because their dock is close to the city center. Another company called Boaty is another good option, but the dock is further away from the center. The price isn’t cheap (we paid 89 Euros for a three hour rental), but it’s well worth it. Pro Tip: bring a bottle of wine, some gouda, and salami for a floating picnic. Amsterdam’s largest and most prominent churches are the Oude Kerk and Westerkerk. 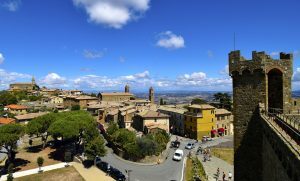 Both of them have tall bell towers that you can climb to see beautiful panoramic views of the city. View from the top of Oude Kerk church tower. The Oude Kerk church is located in the De Wallen neighborhood, not far from Dam Square. 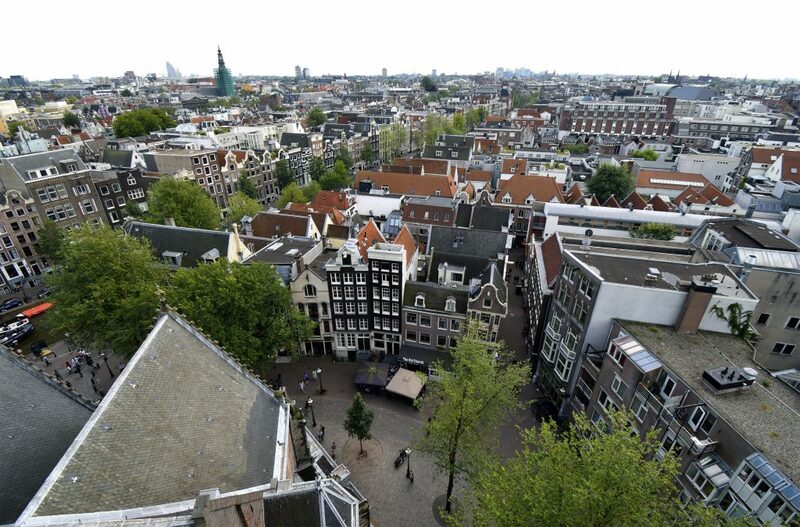 It’s Amsterdam’s oldest building and looks out over the oldest part of town. The only way to get up to the bell tower is by taking a guided tour. On the way up, the guide will tell you about the history of the church and explain how the bell tower works. Tours start every 30 minutes and last about 30 minutes. It’s open Monday to Saturday 1:00 pm to 7:00 pm, and tours cost 8 Euros per person. 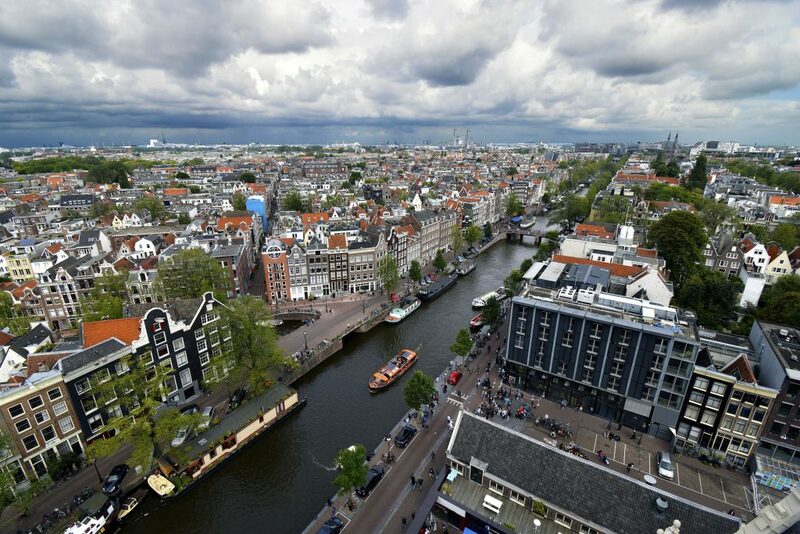 View of the Jordaan neighborhood from the top of Westerkerk church tower. The Westerkerk church is located just outside the Jordaan neighborhood on the Prinsengracht canal. It offers what is probably the best view of Amsterdam. Like the Oude Kerk church, the only way to climb the tower is by taking a guided tour. Tickets can be bought at the church and tours leave every 30 minutes. It’s open Monday to Saturday from 10:00 am to 8:00 pm, and tickets cost 8 Euros per person. 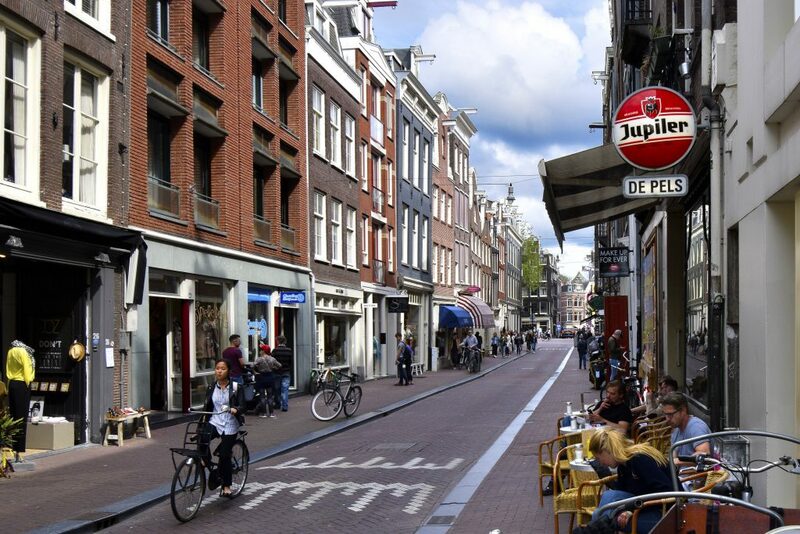 Pronounced “your dan”, the Jordaan is a trendy neighborhood with unique shops, corner cafes, and art galleries. It was originally home to a large working class and immigrant population. After a downturn during the 19th century, the neighborhood has experienced a revival since the 1970’s. It definitely has a unique feel to it and some call it Amsterdam’s most charming neighborhood. Lindengracht Market – Opens at 9:00 am on Saturdays on Lindengracht street. This market has vendors selling street food, fruit, vegetables, cheese, fish, clothes, and household items. Westermarkt Market – Open Monday mornings on Westerstraat street. 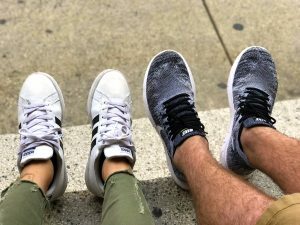 Here you’ll find a huge selection of clothes from designer labels that are either last year’s inventory or have small defects and are marked down considerably. Noordermarkt Market – Open Saturdays from 9:00 am to 5:00 pm outside of Noorderkerk church. It started as a pottery market in the 17th century and still exists to this day. Now it hosts an organic food market, and other stalls with antiques, books, and jewelry. 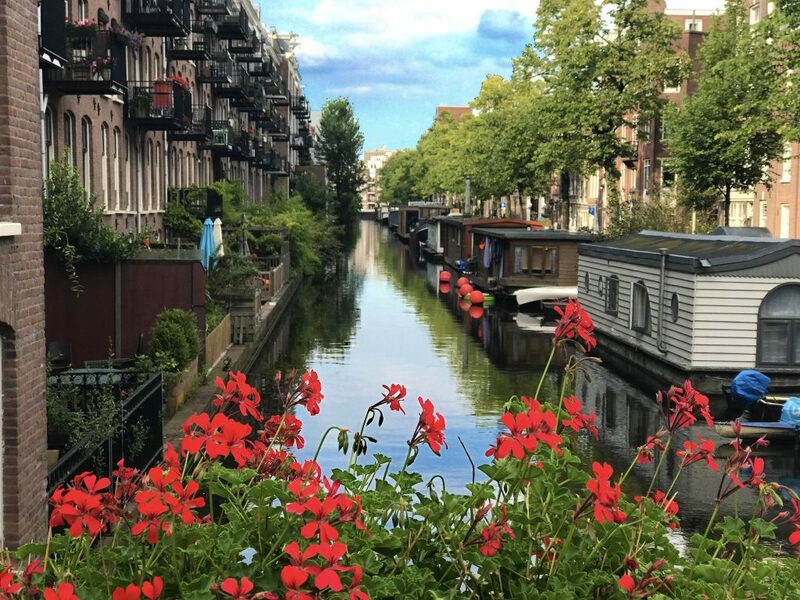 The 9 Streets District (De 9 Straatjes) is a neighborhood of nine narrow, shop lined streets that connect the Prinsengracht, Keizersgracht, Herengracht, and Singel canals on the western side of the city behind Dam square. It’s an area known for having some of the best shopping in Europe. You’ll find everything from vintage clothing boutiques to cheese shops, and high end fashion chains to one of a kind cafes and pubs. Even if you aren’t in the mood to buy something, it’s worth visiting just to window shop and see the historic architecture. Visit the De 9 Straatjes website for a full list of the shops there. Boerenkaas, or “farmers cheese”. A form of Gouda made in the traditional way with unpasteurized milk on the shelves of the Henri Willig Cheese Shop. The Netherlands is famous for its cheese. Gouda, Edam, and Limburger are just a few of many types produced in the country. If you love cheese, be sure to stop by a Kaashuis (cheese house in Dutch) and try some. Most shops will have free samples you can try. 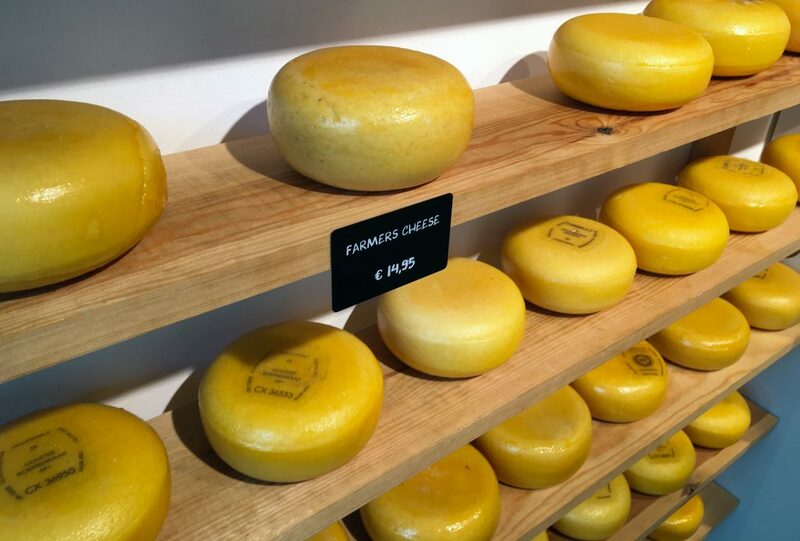 We visited three cheese shops on our last trip to Amsterdam: the Henri Willig Cheese Shop near Bloemenmarkt flower market, De Kaaskamer in the 9 streets district, and Kaasland near the central train station. Each one has a huge variety of cheeses from the Netherlands and other places in Europe. The selection of rare and artisan cheeses is impressive. Most offer shipping worldwide if you want to take some home. But most hard cheeses (including aged Gouda) can be stored without refrigeration, so you can carry it in your luggage if you don’t mind the extra weight. In 1634, tulip mania caused the demand for tulip bulbs to skyrocket. People paid up to ten times the annual salary of a craftsman for a single bulb. 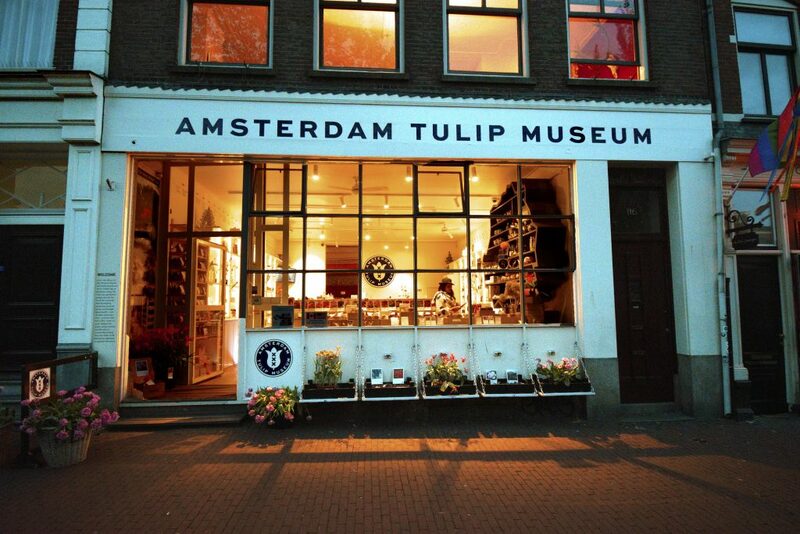 The tulip’s long, interesting history is explained in detail at the Amsterdam Tulip Museum on Prinsengracht street. 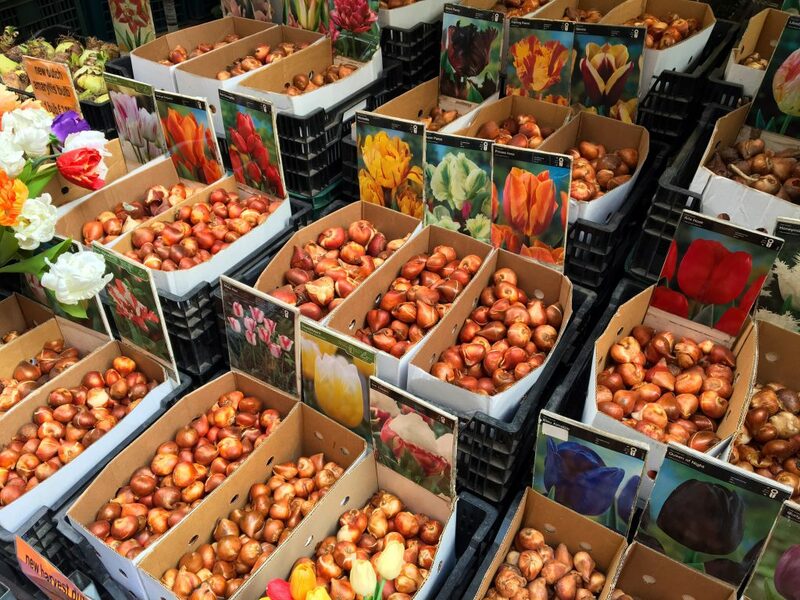 The museum’s tulip shop sells what are considered the best quality tulip bulbs you can find in Amsterdam. Admission to the museum is 5 euros for adults, but entrance to the shop is free. The Netherlands is the largest producer of tulip bulbs in the world and exports more than 3 billion bulbs per year. If you have a garden or just have an interest in plants and flowers, be sure to visit the Bloemenmarkt flower market. Vendors line up along the Singel canal to sell every type of tulip bulb imaginable, and many other types of plants and fresh cut flowers. Some of the more unique things we found there were Venus Fly Traps, Pitcher Plants, and even Cannabis starter kits. But before you buy, make sure you can get them through customs at home. In the US and Canada, they need to have a certificate of inspection that indicates they were inspected and found free of biological pests. Haringhandels (herring carts) are small shacks that sell raw and cured herring. This is one of Amsterdam’s unique dishes that you won’t find anywhere else. 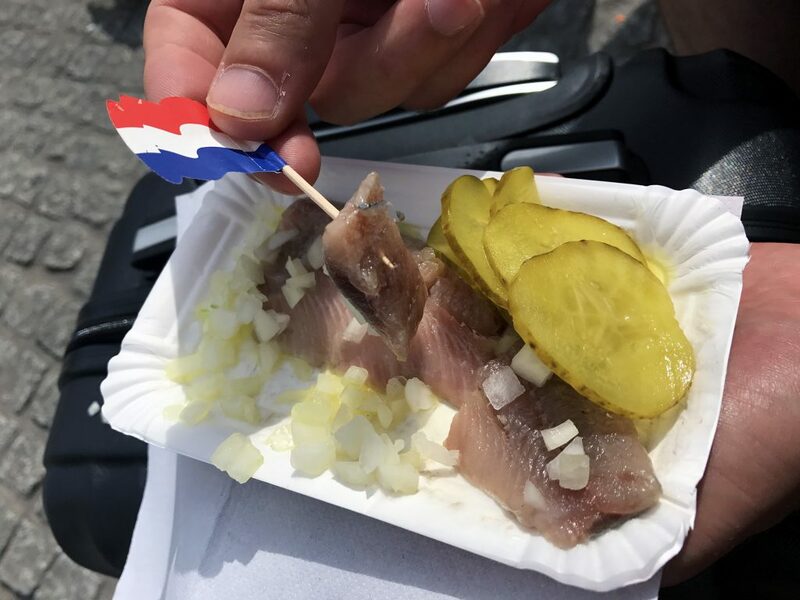 The raw herring is topped with diced onions and sliced pickles. If you like sashimi, you will love it. Fren’s Haringhandel, located near the Bloemenmarkt flower market is a popular place to go. Another option is Herring Stall Jonk, closer to the city center. 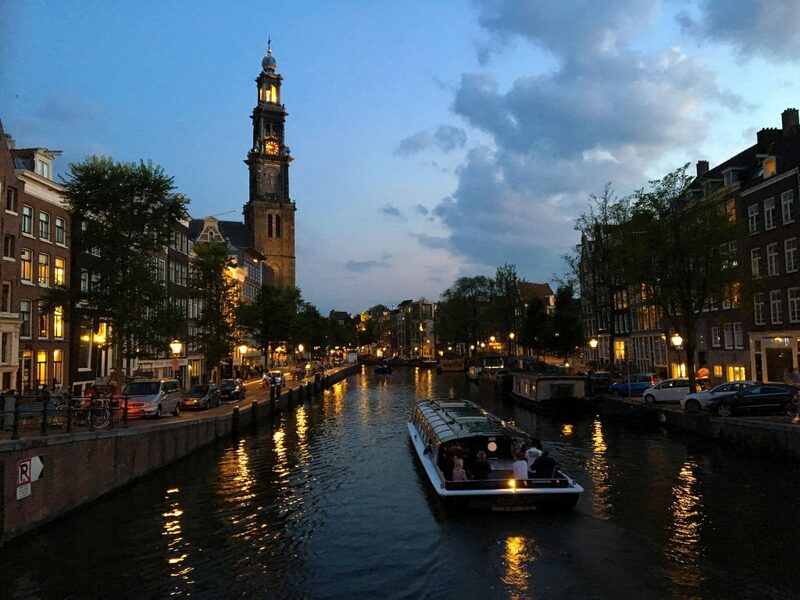 Dusk is a beautiful time to go out and explore in Amsterdam. Lights from the buildings and streets reflect off the water in the canals and the sky has a deep blue hue to it. If you can, use a tripod for your shots to prevent blurriness in the low light. And if you can change your camera settings, use a low ISO to prevent grainy images. A remote camera shutter will also help to prevent camera shake with those longer exposures. 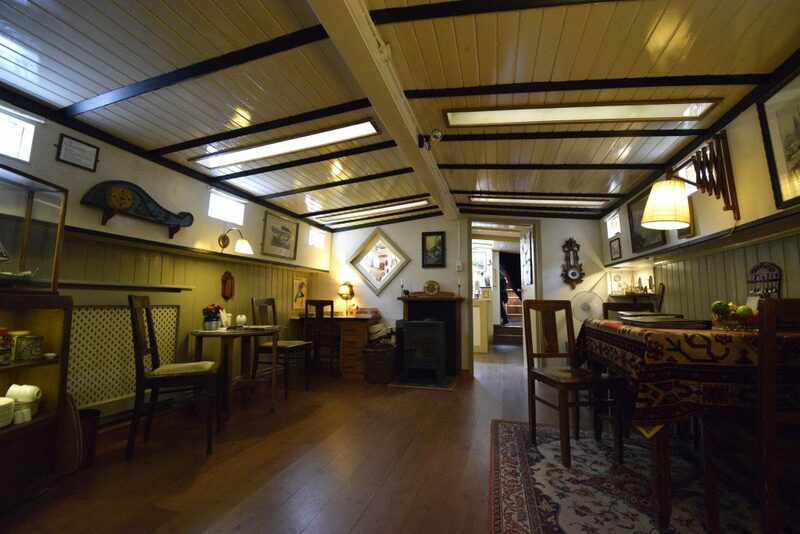 Step inside a real houseboat and get a feeling for what it’s like to live on one at the Amsterdam Houseboat Museum. The museum is an actual houseboat called the Hendrika Maria that was built as a sailing ship in 1914. In 1979 it was converted to a houseboat and was a fully functioning home until it was converted to a museum in 1997. The museum is on the Prinsengracht canal at the Berensluis bridge. Hours are 10:00 am to 5:00 pm everyday of the week, and tickets are 4.50 Euros per person. The De Hallen food market was recommended to us by a friend that lives in Amsterdam. We went there one afternoon and were surprised with the number of meal options. 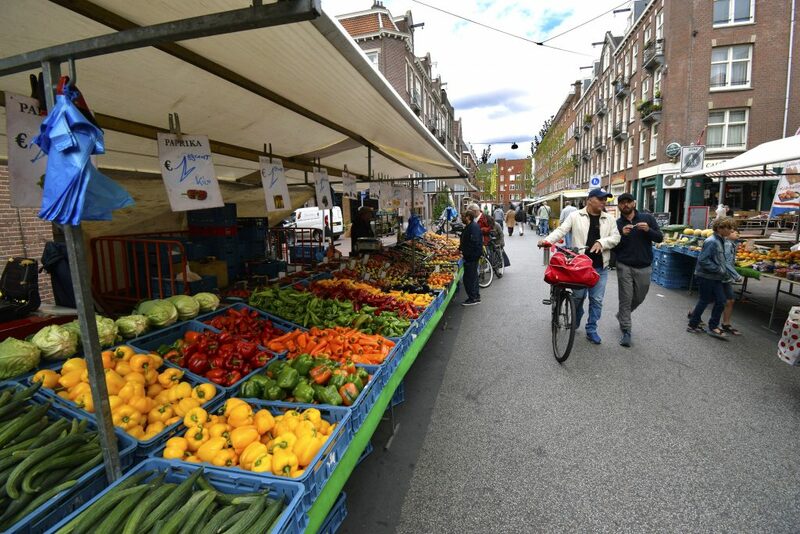 Outside the De Hallen building, on Ten Katestraat street, there’s a large farmer’s market where stalls all down the street sell vegetables and fruit, fish and cheese, and Dutch household necessities. Inside the building, the Foodhalen food court has around 20 different vendors selling prepared food. From tacos, sushi, dim sum, organic salads, steak, seafood, and beer, there’s something for everyone here. We noticed that there were far less tourists here than in the city center, so it’s a great place to check out if you want some authentic modern Dutch fare.